Senheng announced that it will be offering the Xiaomi Mi 3, starting from today. The highly sought-after smartphone, which has consistently sold out within minutes of its release, is available for pre-order Senheng starting from today. And, just like other promotions by Senheng, each purchase made by PlusOne members will be entitled to an extra year of warranty on top of the standard manufacturer warranty. 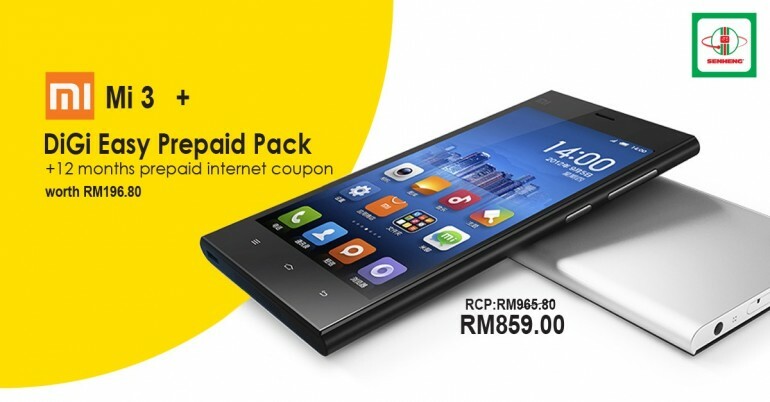 Senheng also states that the Mi 3 units will arrive in stores by this Friday, July 4. However, it is important to note that pre-orders are now open, and is now going on a first-come, first-served basis. [Update @ July 1, 4:37pm] We’ve received a response from Senheng. 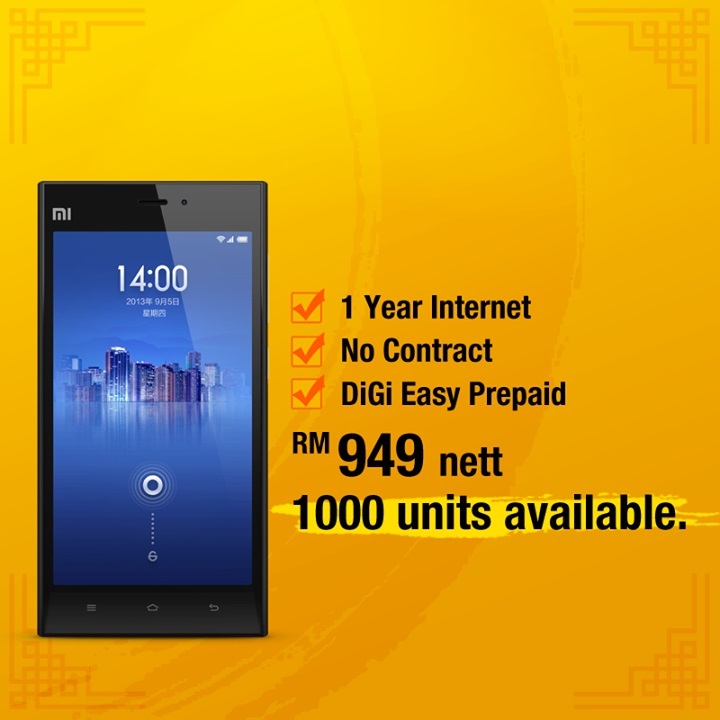 These units are sourced from DiGi, which is why they come with a DiGi prepaid pack. All pre-orders can only be done at Senheng and SenQ Digital Staion outlets nationwide.